The importance of having the correct tyres cannot be stressed enough as they are one of the most important parts on your vehicle. Even something like incorrect tread or tyre pressure can lead to potentially hazardous problems. Don't let this be the case. The tyres and tyre fitting available from TC Motors in Lincoln is of the highest quality; reliable and reputable. At TC Motors, our mechanics & tyre fitters have a wealth of knowledge in the field and will ensure that you get the right tyres for the job! The legal limit for minimum depth of the tread on your tyres is 1.6 millimetres, across the central three quarters of the tread, around the complete circumference of the tyre. If your tyres are becoming worn or damaged, TC Motors will advise you on the best course of action with a brilliant range of brand-name tyres or cheap tyres for those on set budgets. With access to a wide selection of brand-name and budget cheap tyres from the leading manufacturers, you can rest assured that we will find one that suits your driving needs and budget. Whatever the make, model or age of the vehicle, TC Motors have access to some of the best suppliers in the business. Our tyre fitters are backed by a wealth of experience gained over the years in tyre fitting. 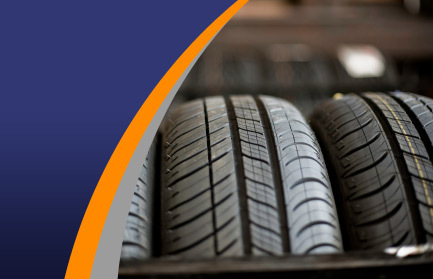 We provide quality names including Michelin tyres, in addition to our reliable, cheap tyres. Regardless of your budget, you're sure to be motoring again in no time, thanks to the friendly & efficient service available from TC Motors in Lincoln. We are also on hand to supply/fit car exhausts or perform important car repairs thanks to the fully trained mechanics at our garage.